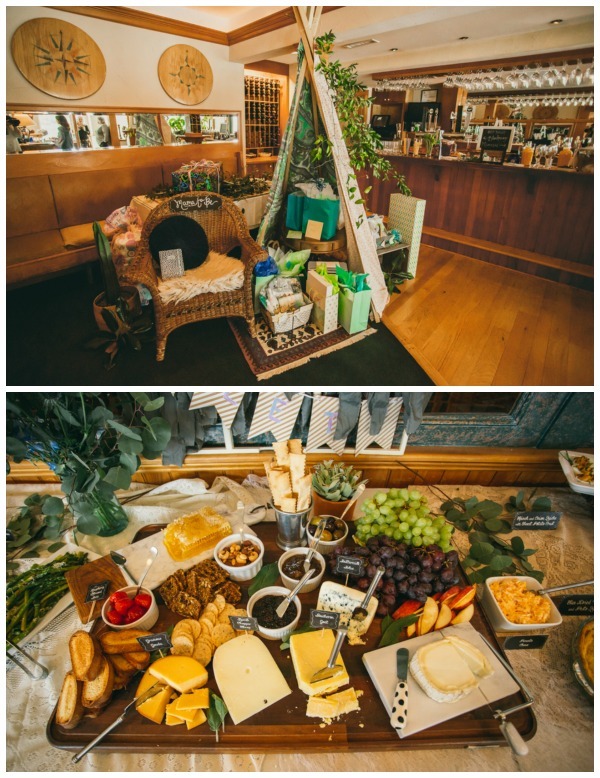 This earthy and natural Boho Themed Baby Shower was the perfect celebration for this mama-to-be, who was anxiously awaiting the arrival of her little boy! 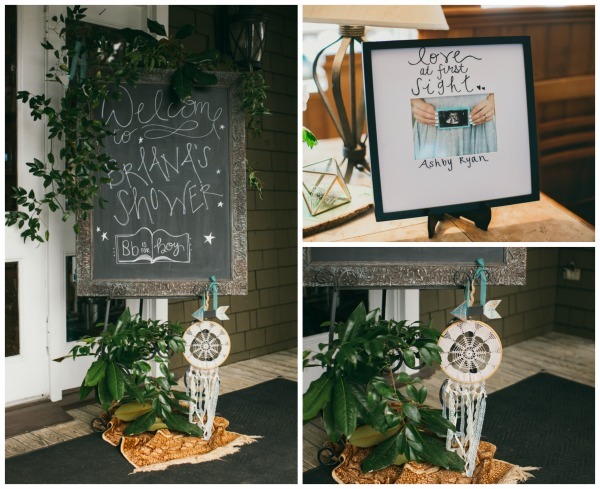 A beautiful chalkboard sign adorned with a handmade dream catcher was seen as guests arrived at 1587 Restaurant in Manteo, North Carolina. 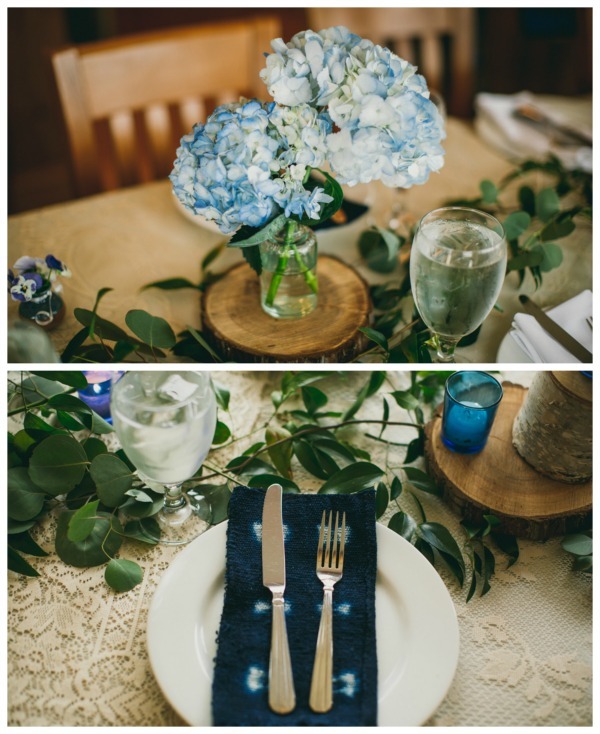 Revival Road provided the chic decorations and the flower crown and floral arrangements were by Gypsea Floral. 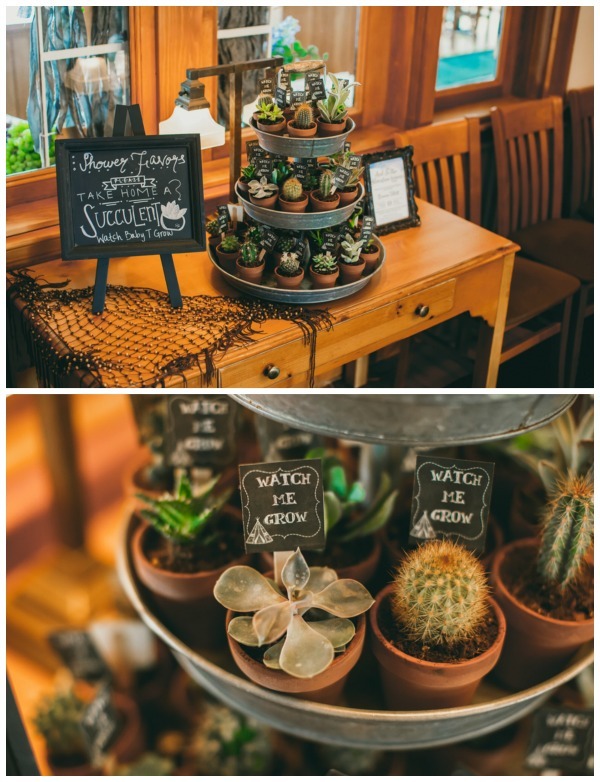 Every detail was adorable, from the “Watch me grow” succulent shower favors to the mimosa and Bloody Mary bar. A naked cake topped with flowers and lined with blueberries fit the theme perfectly. 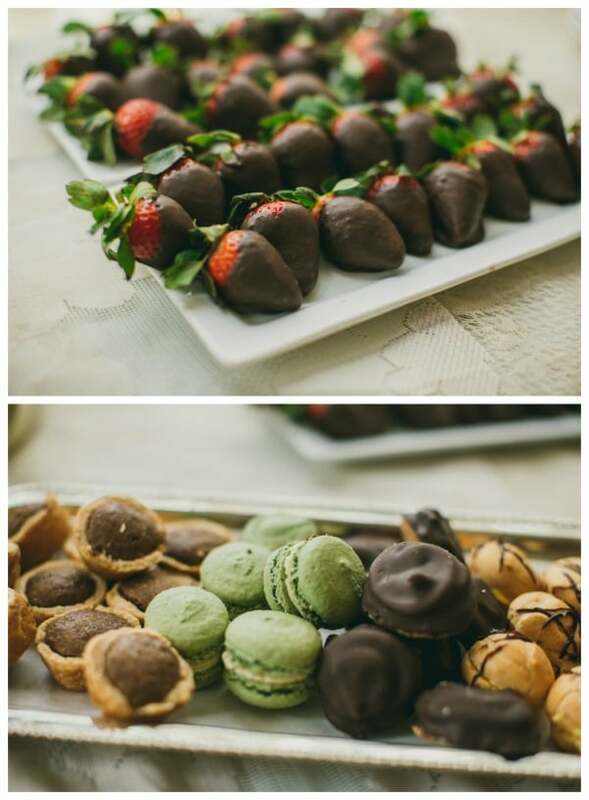 Other desserts included a variety of cookies and chocolate covered strawberries … YUM! 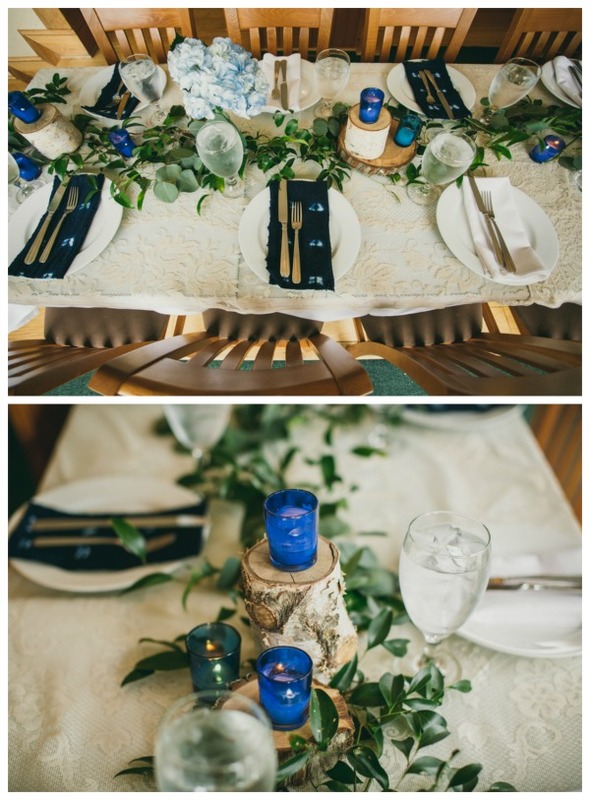 Gorgeous greenery and wood elements lined the tables, in addition to pretty blue hydrangea centerpieces and blue candles. 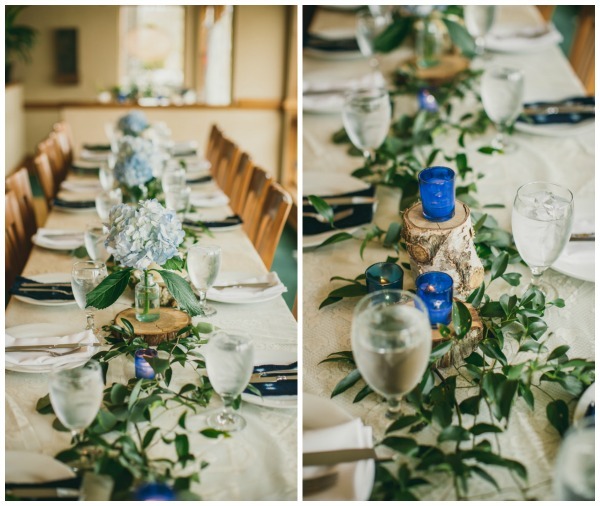 The look was simple, yet elegant and perfect for this boho chic affair. 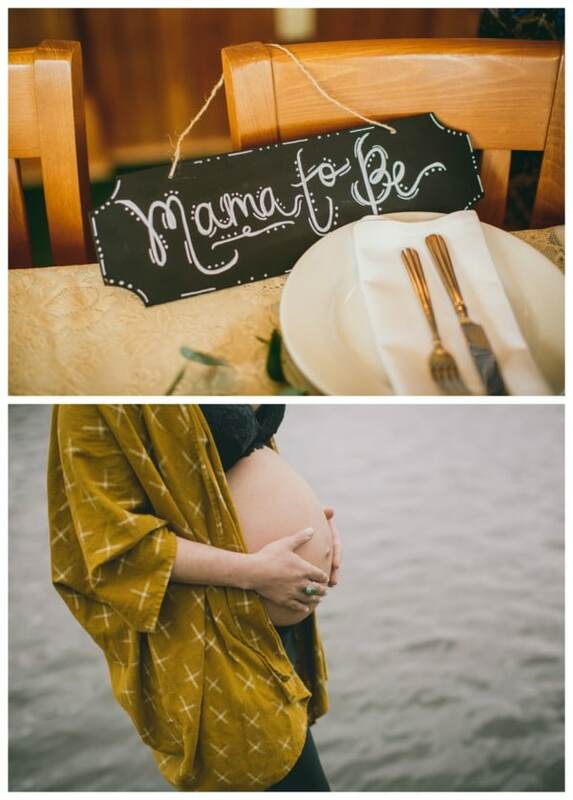 This boho themed baby shower was the perfect way for friends and family to kick back, relax and shower this mama to be with lots of love! Photographer: Sarah D’Ambra Photography // Location: 1587 Catering & Coordination // Caterer: Cafe Lachine // Floral Designer: Gypsea Floral Co. This feature contains affiliate links. Please see our full disclosure policy. 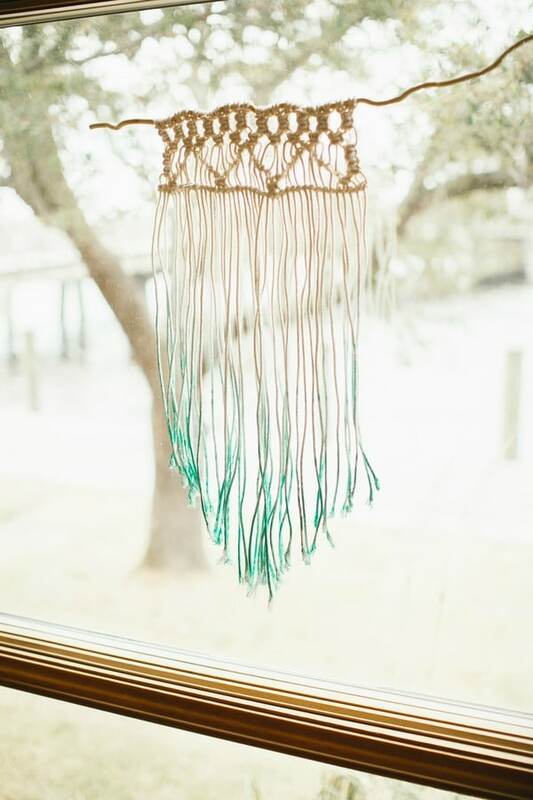 Check out these fun boho-inspired party supplies for any event! 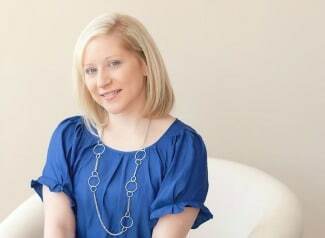 Check out these other fun baby shower features on Pretty My Party!